Acquiring/promoting in top-selling specialty areas of technology, business and self-help arenas. Representing millions of copies in print. As Vice President/Literary agent, seeking out, creating, and managing author/publisher relationships as well as application of new ideas to online courses and apps. Publishing management in creating and negotiating contracts, advances, royalties as well as managing electronic and global rights within all computer-related and business arenas. Success in over two decades of creating top publications, moving cutting edge concepts to print, and as collaborative content provider to corporate/college book and training series, networking 2,000+ authors to companies seeking writing and training experts and reviewers. Speaker at writing and publishing conferences. Literary agent, editorial, content provider, author, corporate consultant to book and online publishing. Connecting authors to publishers in all top series such as the branded “For Dummies” line. Building author careers with single titles and full series lines. “Carole has been my agent for nearly 15 years, providing the expertise, counsel, and contacts that took me to the next level(s), from journeyman scribe to the world’s #1 best-selling author of digital photography camera guides. After more than 1.25 million copies in print of 125 books and 2500 articles on imaging, photography, and technology topics, and a columnist and/or contributing editor for 10 magazines, the best of that happened on Carole’s watch. — David Busch .” David D. Busch Author, Trainer, Speaker. “Carole is a former publishing executive who now connects the best authors and the top publishers. She makes things happen that no one else could. Just as one example, she helped me and a co-author arrange to write the first-to-market book on this year’s breakthrough products. Carole understands the needs of all sides and helps authors market themselves to publishers, and publishers make offers that inspire authors. All toward creating books, courses and other products that are a hit with the public.” Floyd Smith , Author, Consultant , Independent. [read more=”More Review” less=”Read less”] “Carole has been my literary agent for more than 20 years and if she didn’t do totally awesome work I wouldn’t still be a client now, would I? Carole is the consummate professional in her field. She knows EVERYONE in the business and is on excellent terms with every major acquisitions editor on the planet (and many of the minor ones, too). She is a shrewd negotiator who always fights hard to get what’s best for me. And she knows how to think outside the box, which is how she got me some of my most successful and off-the-wall book deals. Last but not least, she’s an absolute pleasure to deal with and has been for the entire 20 years we’ve been together. Carole rocks. Enough said.” Bob LeVitus, Journalist, Author, Trainer. “Carole has been my agent at Waterside since 1993 and during that time has negotiated over 200 book contracts on my personal behalf, and from 1997-2004 for my former company, LANWrights, Inc. She has brought me several extremely interesting and lucrative projects including “HTML For Dummies” and several great college textbook projects. I have always found her to be a great resource, a terrific problem-solver, and a great contract negotiator and would recommend her to anyone interested in publishing into the computer trade book market or related markets (corporate presses, white papers, ebooks, and so forth).” Ed Tittel, Author. “Carole Jelen has been my agent for several years now and has opened doors for me that just weren’t possible without her. She’s effectively marketed my skills and brought me many top publishing opportunities. Without her, all I was able to get were polite rejection letters. Through her, I’ve authored, co-authored, and edited more than ten titles. Many of these titles are sold at mainstream stores and others are books used in private universities and colleges. She’s even helped me land multiple book contracts. I love to write and I’m thankful Carole is on my side helping me stay busy with my passion. “I’ve had the privilege of knowing and working with Carole for over 20 years on multiple book projects; first when she was a Senior Editor at Addison-Wesley, and then when she represented me as my literary agent at Waterside Productions. I have nothing but the highest praise for her professionalism, her understanding of the publishing industry, and her honesty. I recommend her without reservation.”Bruce F. Webster , Chief Technical Officer , Pages Software, Inc.
“Carole always brought us authors who were some of the best in the business — true subject-matter experts who could explain technology in a clear and concise manner. She always worked hard to understand the needs of our business and few (if any) managed the author-publisher relationship better than she did. An absolute pleasure to work with!”Jeff Riley , Executive Editor , Pearson Education. “Carole is a super-agent — the agent for all my books. She knows the publishers and their contract terms, gathers the info I need, closes the deal, helps me with any problems, and keeps projects flowing, so that I can write books and make money. She is invaluable.” Tony Bove , Author, Founder/Editor , Bove and Rhodes Report. “Carole is a career publisher – she knows everyone in the business and knows all the right moves. She has great personal and professional integrity and is fun to work with besides! Peter H. Gregory Author, Trainer, Speaker. “Professional and prompt to intervene when contract disputes or issues arise. Prior editor experience gives her a good sense for shaping a proposal and table contents. Recommended.” Joe Hutsko , Tech book author and journalist , Freelance Tech Writer. “Carole Jelen is a veteran agent with a long history in the publishing industry, with strong connections. She knows how to get the best deal for an author.” Allen Taylor, Author, Trainer. “Carole has represented me on a number of book projects. She has consistently supplied me with invaluable advice and information, and has avidly represented my interests in contract negotiations. She knows the market and she knows what writers need.” Michael Cohen, Author, Trainer. 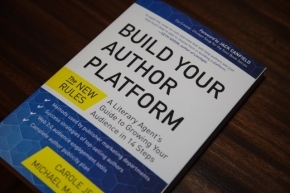 “Carole is the quintessential literary agent for any computer book author! Between her connections in the publishing industry, her fingers on the pulse of what publishers want, and her expertise at navigating the crazy waters of the publishing world, you could not find anymore more professional and results-oriented than Carole. We just published our ninth book through Waterside this month!” Mark Merkow, CISSP, CISM, CSSLP Author. “C. Jelen is deeply connected with publishers and authors, and it shows. Carole has represented me since 2005, and since I have had 10+ titles, and counting!” Robert Kao, Author. “Carole has been my agent since 2005. We are starting on my 5th book project together. She has been great at helping to guide my selection of which books to write as well as taking care of all of the interface with publishers in finding and negotiating the book deals. I highly recommend her.” John Blair, Author. “Carole is awesome. She works very hard to get me the right project that fits my needs as well as the publisher’s no matter if the job is writing a book or developing an instructional project. I am very fortunate to be working with her.”Eric Butow , Author, Owner, Butow Communications Group.